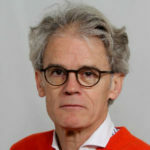 Professor of Clinical Epidemiology, Department of Epidemiology and Biostatistics, and Amsterdam Rheumatology and immunology Center, VU University Medical Center; staff rheumatologist in Reade Institute; Amsterdam, The Netherlands. Training: Internal Medicine and Rheumatology (‘88); PhD degree in medicine (University of Leiden, Netherlands, ’89); and MSc in Clinical Epidemiology: McMaster University, Canada (‘90). Research interests: early intervention in rheumatoid arthritis (eg COBRA trial), glucocorticoids, outcome measures in rheumatology (co-initiator of the OMERACT initiative, www.omeract.org), trial design and analysis, efficacy, safety and economic issues. initiator and principal investigator of the currently running GLORIA trial (funded by EU-Horizon 2020): international pragmatic trial of low-dose prednisolone in 800 elderly RA patients. (Co)author of > 400 papers on topics in- and outside of rheumatology. Graph design advisor, and member Editorial Board, Annals of Rheumatic Diseases; member of several Editorial Boards, currently Journal of Rheumatology, Journal of Clinical Epidemiology. Education: design of the science education program in the new medical curriculum of VUmc, founding chair of Honours Programme that gives extensive science training to talented students. Regularly, organisation of, and participation in postgraduate training courses on topics covering Clinical Epidemiology and Biostatistics, Rheumatology, and data visualization.